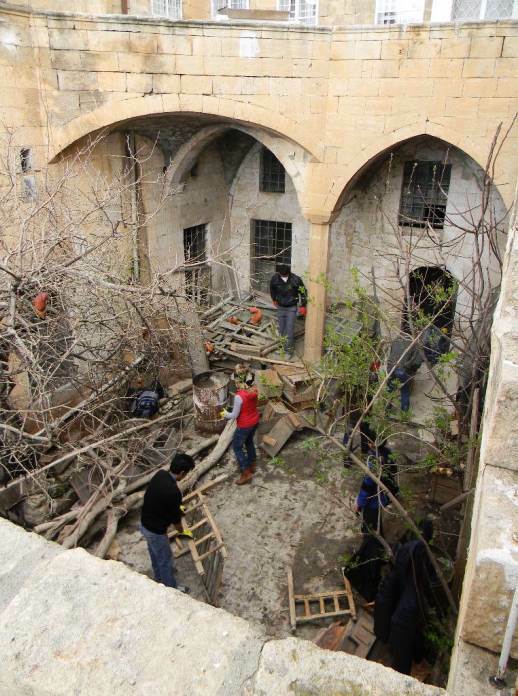 On a Saturday in late March, a group of 20 volunteers went to an abandoned church in Turkey’s southeastern city of Mardin. They cleaned out broken chairs, a cracked pulpit, and books that haven’t been opened in decades. In the corner sat a 100-year-old organ. The church, in the heartland of Assyrian Orthodoxy, has recently been transferred to a Protestant congregation. And this donation marks an extraordinary change in relations between the two branches of Christianity. The Syriac Church (known as Assyrian in Iraq and Syria) is one of the oldest branches of Christianity in the world; its churches in Mardin date back to the 4th century. It claims a historical connection to the Assyrian Empire of the Old Testament, which predates today’s national borders. But its population has dwindled in Turkey ever since the Ottoman Empire’s 1915 massacre of hundreds of thousands of Armenians and Syriacs. Some 20,000 Syriacs still remain in Turkey, with only 3,500 in its remote southeast. Although only big enough to hold 50 people, the building’s transfer represents the first steps of reconciliation between Protestantism and Orthodoxy in a city where the denominations have been bitter rivals for nearly two centuries. 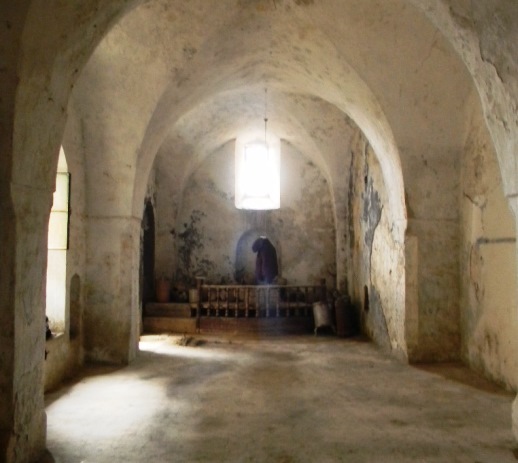 “At first the Syriacs were worried, but as they saw our sincerity, both the archbishop and head priest gave us permission to use the building,” Ahmet Guvener wrote in a recent report on the church restoration project. He is the pastor of nearby Diyarbakir Protestant church, the largest of its kind in the region. When American Protestants first came to the Ottoman Empire in the 1800s, they drew tens of thousands of the empire’s ethnic Christians away from their original churches and baptised them as Protestants. Within decades, the Western missionaries had set up hundreds of churches along with hospitals and schools where foreign languages were taught. Orthodox patriarchs threatened excommunication for anyone who fraternised with them or went to their churches. The church, in the center of Mardin, was built by American missionaries who came to the city 150 years ago. They left in 1973, when their organisation cut funding. The building sat empty for more than 40 years. In its courtyard two trees sprang up through the cracks; they’re now over 20 feet tall. Guvener, a convert from Islam, sent Ender Peker to Mardin two years ago. Peker and his few members meet in a house every Sunday. Peker spent over a year cultivating relationships with the Orthodox leadership before approaching them with the subject of the building. Every time he drove past an Orthodox church or monastery, he told World Watch Monitor, he stopped by to talk with clergy members. “I told them I’m not here to steal your members. My vision is not to preach to Syriacs or Armenians, but to preach to Muslims. Your church is your church,” he said. (Peker, also a convert from Islam, preaches in both Turkish and Kurdish). Peker reached an agreement with Syriac Orthodox priest Gabriel Akyuz. He would not reach out to any Orthodox or Catholics. He would not even let them visit his church unless they had permission from their priest to come. After this, Fr. Akyuz signed off the property transfer to the Protestants. A priest in the city for 30 years, he leads a congregation of over 200. Protestantism had gradually died out among the local population, who had either returned to the Syriac Orthodox Church or left the city. Then the building came under control of Syriac Orthodox leaders. Even in the last 10 to 15 years, the Syriac Church in Mardin refused to give the building to local Protestants, fearing that they were coming to poach their tiny Orthodox flocks. Murat Kilga lives near the abandoned church and has taken care of it since 1985. The 42-year-old is Syriac Orthodox, but he has family who accepted Protestantism and even attended their schools decades ago. “My aunt went to their schools in the 1940s and learned fluent English. My great aunt was a nurse at the American Protestant hospital in Gaziantep (on the Syrian border),” he said. 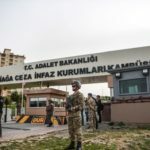 Orthodox priest Akyuz told World Watch Monitor that he finally agreed to transfer the property to Protestants because he did not want it to revert to the Turkish government. (Under Turkish law, property registered as a foundation that goes unused for 10 years or more must be transferred to state ownership). After this agreement was reached, relations began to thaw between the church leaders. 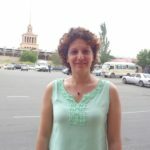 Peker has worked with the Syriac Church three or four times to provide aid to hundreds of Assyrian Christian refugees fleeing Islamic State attacks in Iraq and northern Syria to reside temporarily in Mardin. For his part, Peker has taken steps to blend into the local religious community. He wears a priest’s collar while in public, since local priests and imams always wear their clerical garb. “I wanted to be taken seriously by the other religious leaders. When Syriac Orthodox Christians first saw me wear this, they told me that they liked it”. Protestant Turkish fellowships are attempting to raise $75,000 to restore the doors and windows, replace the electrical wiring and plumbing, and do interior stonework restoration. They hope to re-open the renovated building next year. Then Peker plans to maintain open hours in the church building in order to talk with visitors. He hopes to run events and teach Bible courses open to the public.